I apologize that our posts are late today. Our internet has been out since last week and we JUST got it back! It has been super frustrating here so we appreciate your patience! 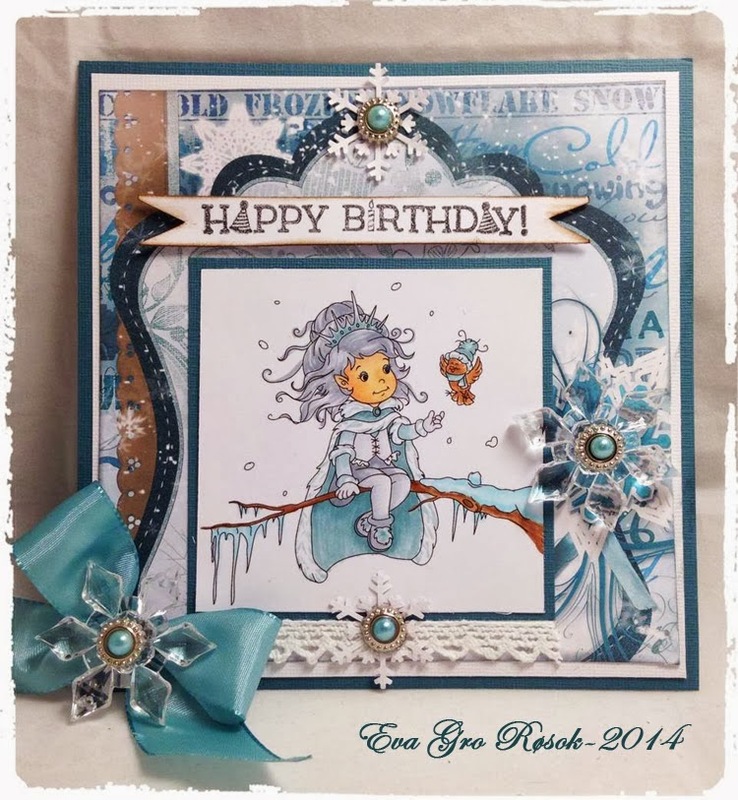 Shanna Said: This card is so pretty and elegant. Laura Said: An adorable card! I really love how she used the die cuts on the background with the stickles and fussy cut the Marcy image. Super sweet. Athia Said: This is just precious! I love the little image and the layout! 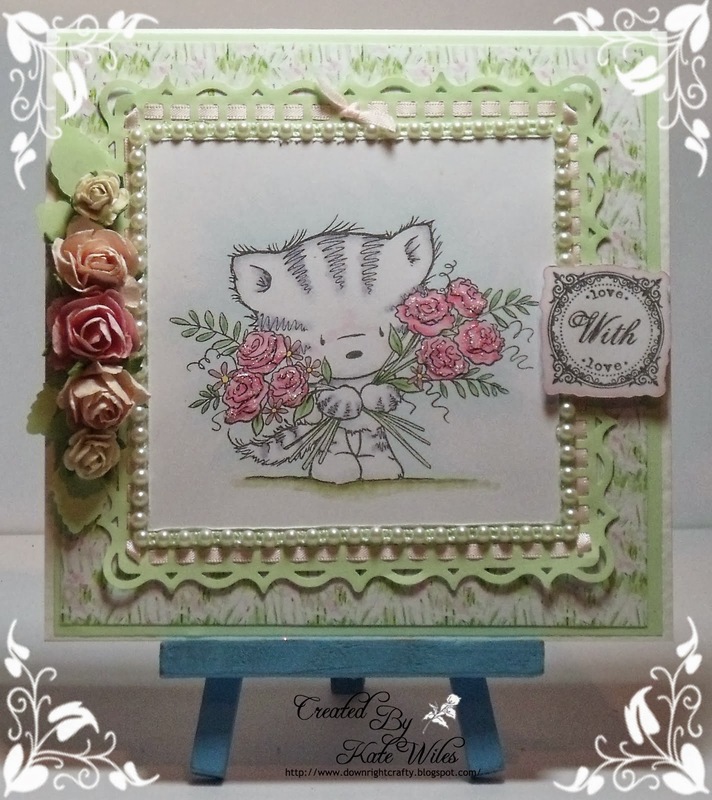 Larelle-Susanne Said: The card was adorable, a cute image with flowers and layering super cute..
Larelle-Susanne Said: Love this tag. Holly Said: I love the colors and the amazing design. This is so pretty, I love everything about it. Dangina Said: This is such a fabulous winter wonderland! Her card actually makes me want to enjoy the cold weather. 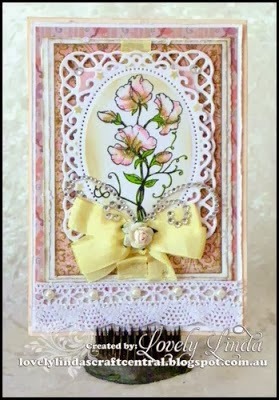 Love the gorgeous embellishments and image. 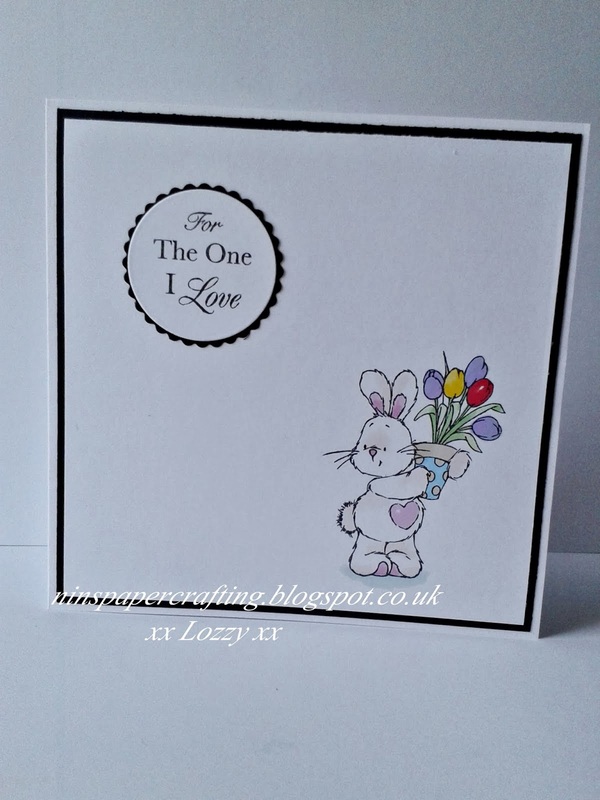 Lydia Said: such a crisp clean CAS card and the colouring is fab! Joni Said: Love this little gal peeking out the window, super fab coloring on the hair. 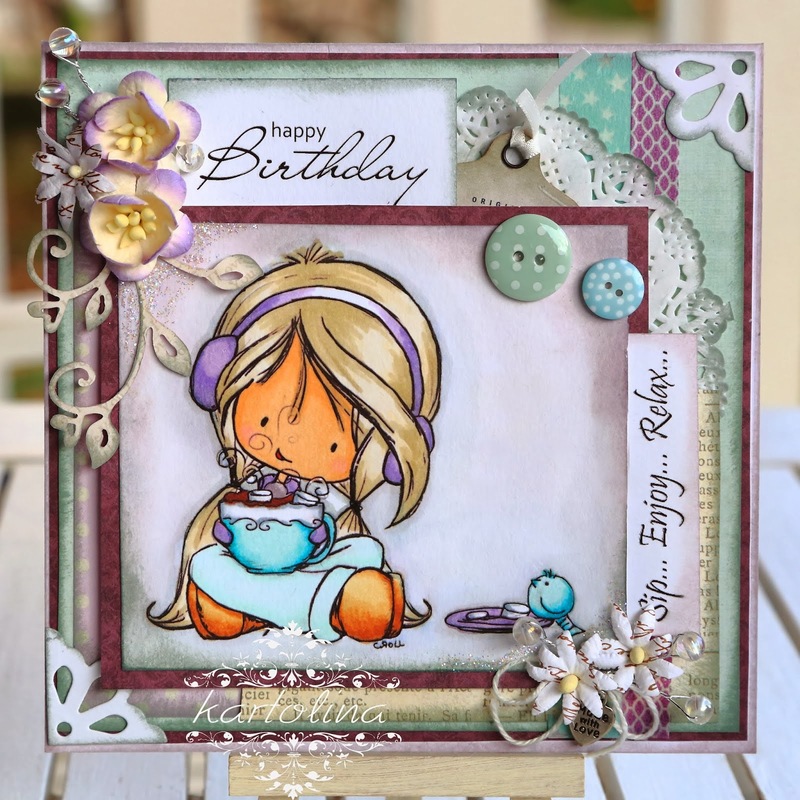 Marcy Said: This card is so adorable and her coloring is so beautiful! Love everything about it! 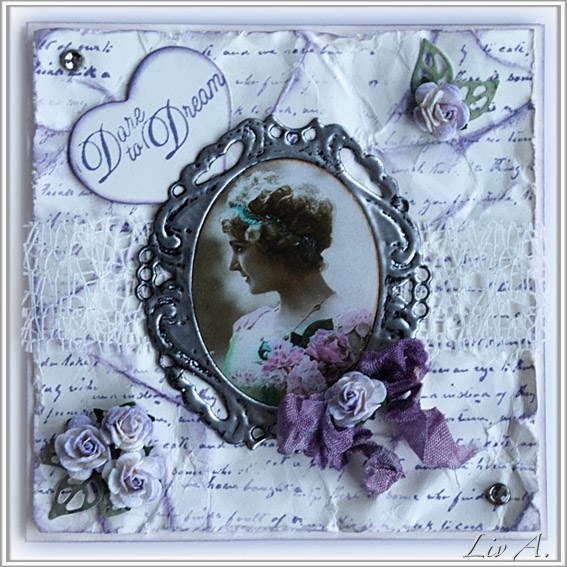 Nikki Said: Love the soft colours, the distressed background paper and the gorgeous framed image. 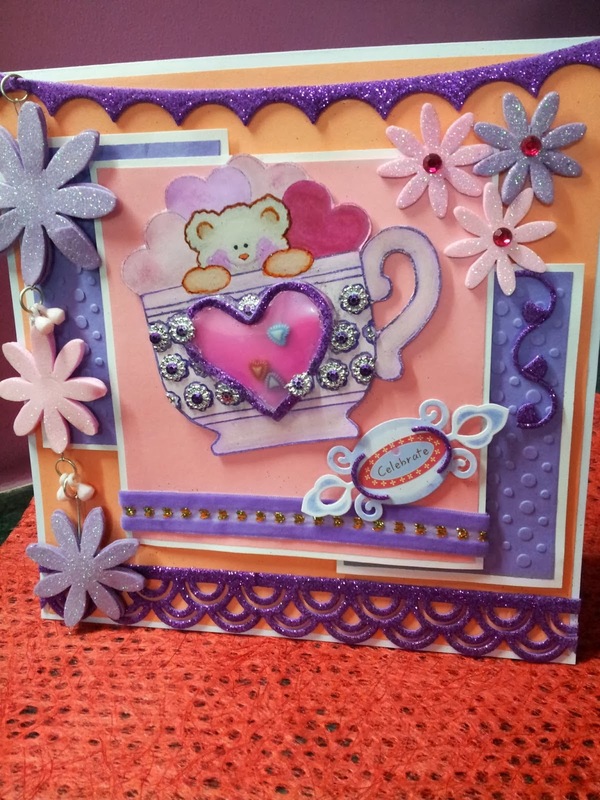 Nina Said: Love this pretty card. Great colour palette. The image has been coloured beautifully. I love the beads around the frame. Soooo pretty. Laura Said: I think this is so pretty! I love the soft pastels and the sweet image! I think Lorraine did a beautiful job coloring this to match the papers and I love the soft shimmer on the wings. Just adorable! Laura Said: WOW - WOW - WOW! Talk about a stunning scene! It is hard to believe this masterpiece started off as a blank piece of white paper! 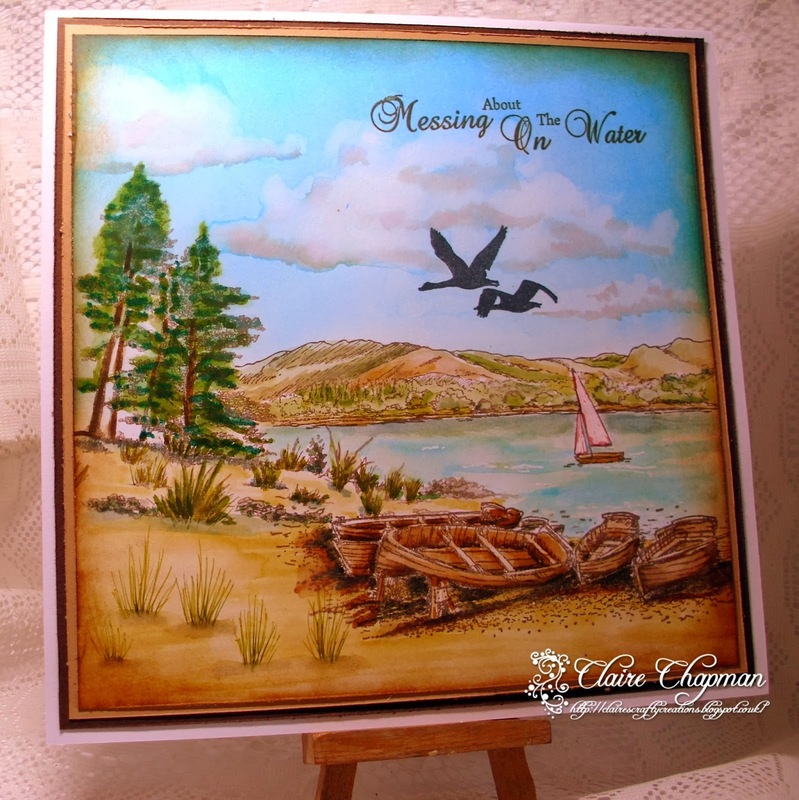 Claire did an out of this world job creating this gorgeous piece of art! Someone is going to be very lucky to receive this treasure! Beautiful job! Challenge 85 - ANYTHING GOES!